Rowe was immediately suspended from duty after Atlanta police were notified of her arrest, officials said. She had only been with the department since 2016 and was assigned to the mobile patrol unit, according to AJC.com. Rowe was jailed on multiple drug charges in the Monday afternoon raid. Two others — Jeremy Laye and Tony Robinson — were also arrested and are accused of selling drugs. Laye also faces charges of obstruction of an officer and possession of a firearm by a first offender probationer. 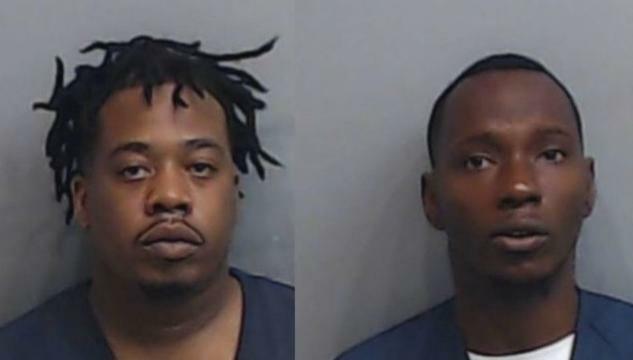 College Park, Georgia police raided the apartment after receiving a tip that drugs were being sold, Channel 2 Action News reported. Laye’s children were inside the home during the raid. Officers found marijuana, pills, guns, ammunition and $8,000 inside the apartment. More drugs and two guns, including an AR-15, were found in the trunk of Rowe’s car, Channel 2 reported. Investigators identified Rowe because she had her department-issued gun and identification on her, College Park police Chief Keith Meadows told Channel 2. Atlanta police gear and uniforms were also found inside the apartment. “This was a shocker to go in and apprehend ‘as a suspect’ another officer,” College Park police Sgt. Marcus Dennard told Channel 2.